Not sure what to get for that hard to shop for man? 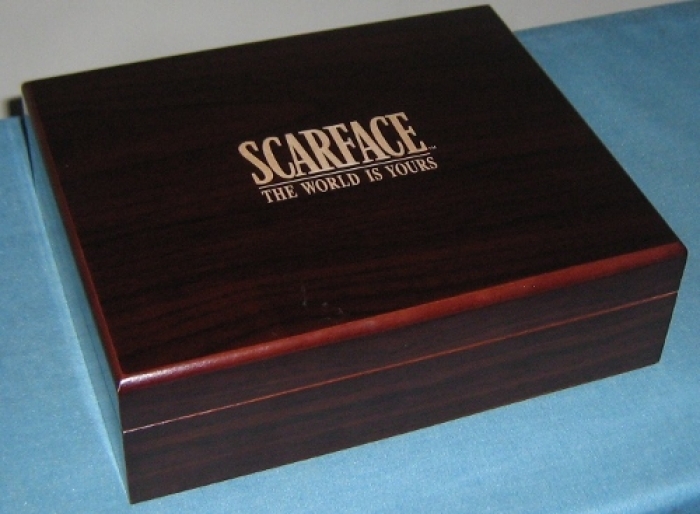 Well, a personalized humidor is the perfect gift for just about any guy. Whether he's a cigar smoker or his buddies are, he'll be proud to break out this laser engraved piano finish humidor at the next smoking session. 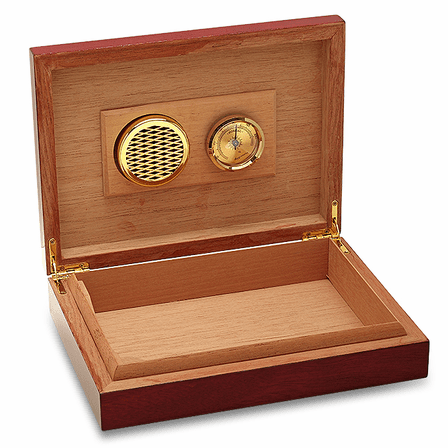 It holds up to 30 cigars in its cedar lined interior, features a hygrometer and humidifier (magnetically attached to the inside of the lid) and has a tight seal closure. 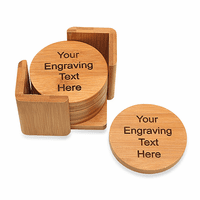 Add a laser engraved inscription to the lid free of charge for a personal touch. Dimensions: 9 1/2" x 7 1/4" x 2"
Free engraving on the lid of the wood box. Free first class mail shipping within the USA. How do you set up humidor? It locks in magnetically to the underside of the lid. How does the humidor keep the cigars fresh? It has a humidifier, a tight sealed closure and Spanish cedar lining. Yes, we can do this for you. You can enter your engraving instructions in the comments of our checkout page. Make sure to note that you'll be emailing us a logo for engraving. Once you email us the logo, we'll put together a proof for your approval. 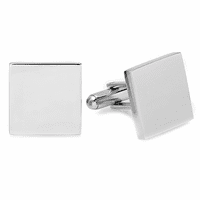 You can send the logo to help@executivegiftshoppe.com. 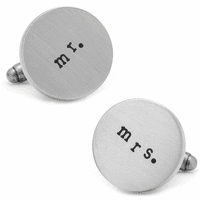 If I would like to get intials engraved, what font and font size is suggested? For initials only, we would recommend the Times New Roman font and a font size of 55. Would you guys be able to engrave one like this one? Yes, we would. Would you happen to have a jpeg image of the Scarface picture shown? I do were do I attach it to? We don't have a feature to upload an image to your order just yet, we're working on it. You can place the order on our site and in the comments section of our checkout page let us know that you'll emailing the logo over to us. 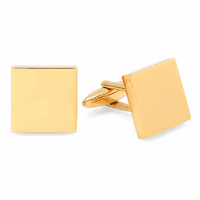 Then you can email it to help@executivegiftshoppe.com. We'll email you a proof with one day for approval before engraving. Can a logo be engraved on the humidor? What is the limit in engraving? Number of letters? This was a great cigar box, which I got for my fiance as a father's day gift. Although I will say it was way more red than I expected it to be, based on the picture and description given. 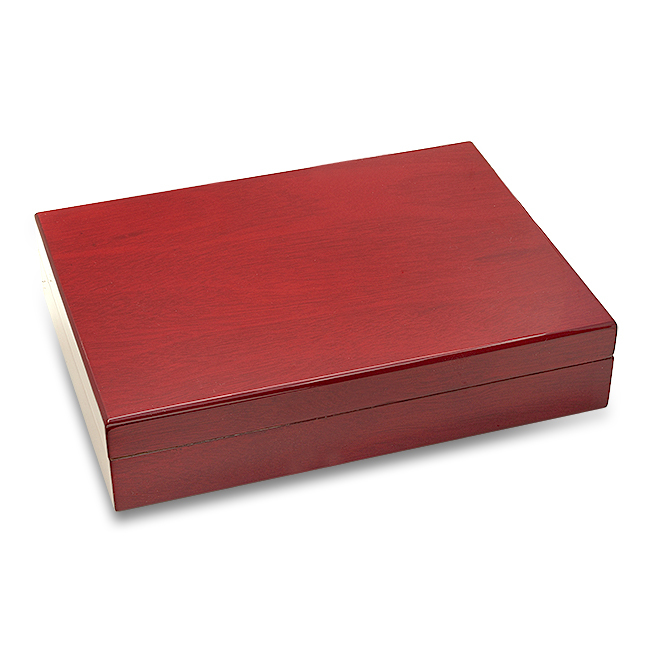 It is more of a glossy Cherrywood color. The engraving turned out really nice. This is a great gift. I was very pleased with the engraving upon arrival.